BBC America is launching a ‘micro-net’ within its channel that focuses on nature programming to build on titles such as Blue Planet and Planet Earth, it was revealed today during the AMC Networks Summit in Manhattan, New York City. At the end of 2019, BBC America’s branded block, named Project Awe, will appear on the channel every Saturday for 24 hours, transforming the look and feel of the channel. It will be a destination for premium nature and wildlife content designed to inspire and connect viewers with the outdoors. BBC America is already the co-producer an exclusive US broadcaster for the next instalments of BBC natural history landmarks such as Sir David Attenborough’s One Planet: Seven Worlds, Frozen Planet II and Planet Earth II. It will also be the exclusive US television home to the Planet Earth collection and other iconic landmark series from the BBC Natural History Unit, including Blue Planet, Frozen Planet, Life, Africa and Dynasties. Project Awe will host special events on the broader BBC America schedule throughout the year culminating in a new landmark series each year. 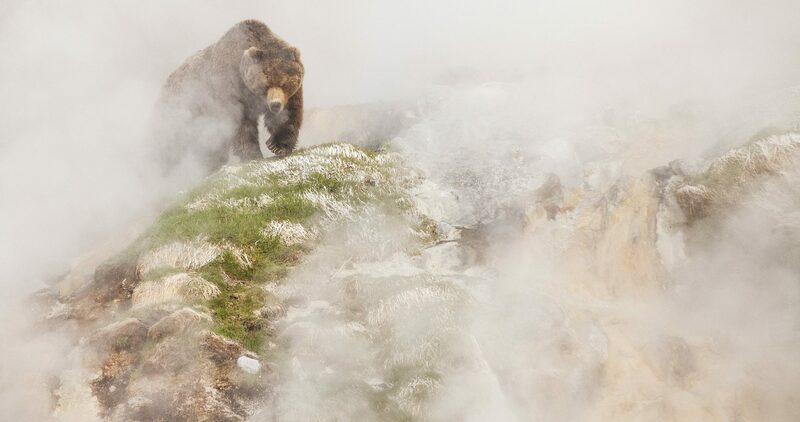 The move arrives after BBC America the renewal of its partnership with the BBC to co-produce the next instalments of Planet Earth III and Frozen Planet II, as well as One Planet: Seven Worlds. “As the past, present and future US home to this iconic BBC nature and wildlife programming, we know that epic documentaries about this spellbinding blue planet we all share pulls people from all backgrounds and all ages together in a transcendent way that’s unlike anything else, which is why we have been ‘all in,’ on this ground-breaking programming for many years, and will continue to be for many more to come,” said Sarah Barnett, president of the entertainment networks group for AMC Networks. AMC Networks, the joint owner of BBC America along with BBC Studios, delivered a simulcast of Killing Eve’s first episode of its second season last night (7 April) alongside the channel. AMC has given the greenlight to a new original drama created by Scott. M Gimple, chief content officer of The Walking Dead universe, and Matt Negrete, who has been a writer and producer on the show and will be the showrunner of the new spin-off. The third series, in a franchise that includes the global hit series The Walking Dead and Fear the Walking Dead, will feature two young female protagonists and focus on the first generation to come-of-age in the apocalypse as we know it. Produced and distributed by AMC Studios, the series will begin production on 10 episodes this summer in Virginia, US and premiere on AMC in 2020. “We’re thrilled that the Dead will keep walking into a new corner of the post-apocalyptic world, a corner that will present stories and characters unlike any that The Walking Dead has dramatized thus far, and that is bound to excite one of the most passionate fanbases in television,” said David Madden, president of programming for AMC Networks and AMC Studios. AMC has also revealed the return of The Terror, named The Terror: Infamy, which will launch on 12 August. It is produced by Scott Free, Emaj Productions and Entertainment 360. The show is co-created and executive produced by Alexander Woo and Max Borenstein, with Woo also serving as showrunner. Ridley Scott, David W. Zucker, Alexandra Milchan, Scott Lambert, Guymon Casady and Jordan Sheehan also serve as executive producers.